Government adopts strict environmental standards to reduce air emissions from ships navigating in Canadian waters. The Honourable Denis Lebel, Minister of Transport, Infrastructure and Communities, Minister of the Economic Development Agency of Canada for the Regions of Quebec and Minister of Intergovernmental Affairs, have announced that the Government of Canada is adopting strict environmental standards to reduce air emissions from ships navigating in Canadian waters. These changes further align Canada’s air emission standards with the United States. Minister Lebel also announced further measures to prevent other ship-source pollution in Canadian waters. “The changes we are announcing today will help make our oceans and lakes cleaner by reducing ship emissions,” said Minister Lebel. “Since vessels from Canada and the United States routinely travel in both countries’ waters, aligning our regulations is the logical thing to do." It is expected that these new standards will result in an annual reduction of ship-sourced greenhouse gases (GHGs) of 9 % or 11 Mt annually by 2025. 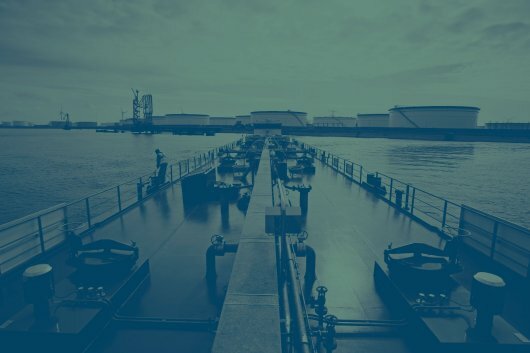 The amendments bring new requirements into force for vessels under Annex VI of the International Maritime Organization’s (IMO) International Convention for the Prevention of Pollution from Ships (MARPOL) that Canada has negotiated with international partners. They set new Canadian standards for environmental protection in seven areas. Canada is further aligning its emission standards with the United States with the adoption of the North American Emission Control Area (ECA). Air emissions standards under the ECA are stricter than global requirements. New standards will reduce allowable emissions of key air pollutants from ships. By 2020, emissions of sulphur oxide will be reduced by 96% and nitrogen oxides by 80%. New energy efficiency requirements will reduce GHGs emissions from international shipping. By 2025, new vessels must be 30% more energy efficient and all vessels must have energy efficiency plans. A new air emissions regime for Canadian vessels operating in the Great Lakes and St. Lawrence waters will support industry efforts to modernize their fleet while phasing in the strictest sulphur oxide standards by 2020. New standards will require marine diesel engines installed after January 1, 2016 to be certified to recognized US or international environmental standards. A new standard will help manage greywater –the water that drains from a ship’s sinks, showers and laundries. Under the amendments, greywater discharged in Canadian waters (other than Arctic waters, which are subject to other standards) must not result in the deposit of solids or cause any sheen on the water. Updated requirements for the transfer of oil between tankers will align Canadian requirements with IMO pollution prevention standards. "The regulatory changes announced today are the result of much consultation on how we can better protect Canada’s clean air and waterways,” said Karen Oldfield, President and CEO, Halifax Port Authority. “Here at the Port of Halifax, we're making progress with projects such as cruise shore power and our port environmental management system, which was the first in Canada to achieve an ISO 14001 certification in 2005."